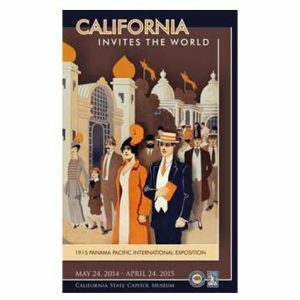 Join the California State Library and the California Capitol Museum for a very special event, Wednesday, April 15, 2015 – A special exhibit and presentation on the Panama Pacific International Exposition of 1915. The evening starts at the Capitol Museum. Docents will be on hand between 4:30 and 5:30 p.m. to tell you all about the exhibit on its last day at the Capitol Museum. The exhibit includes many items from the State Library’s collection. 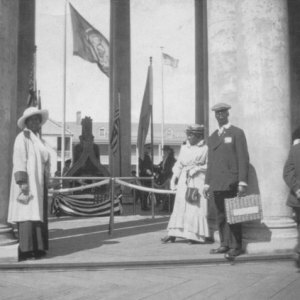 At 5:30 walk across the street to the California State Library, enjoy some refreshments, and then be prepared for an exciting presentation on the People of the Panama-Pacific International Exposition 1915, with PPIE historian and author Laura Ackley. 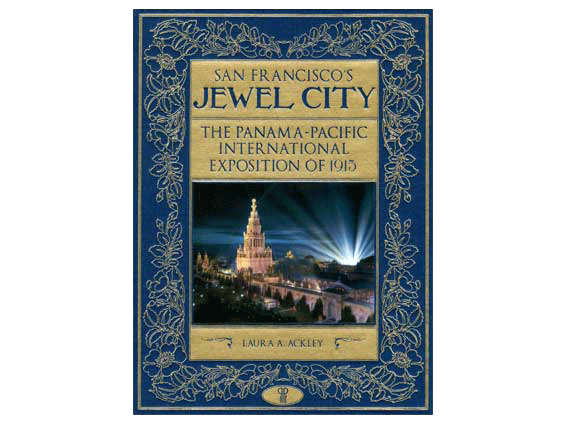 One hundred years ago, San Francisco was host to an historic world’s fair, the Panama-Pacific International Exposition. The Exposition featured technological innovations and groundbreaking lighting effects. A small city was constructed in which many palaces were constructed. Today only the Palace of Fine Arts remains. Nearly 19 million people passed through the gates of the Panama-Pacific International Exposition between February 20 and December 4, 1915. Our speaker, PPIE Historian Laura Ackley will relate fascinating tales of some of the fair’s special visitors, notable guests both famous and infamous. 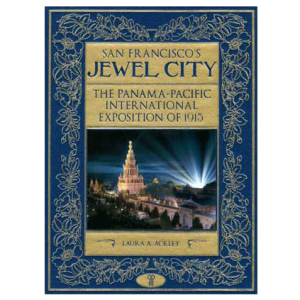 Enjoy the stories of these and others who visited the Panama-Pacific Exposition a century ago.